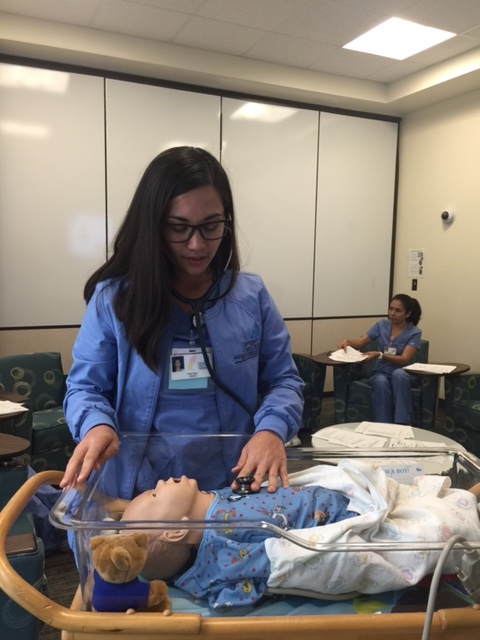 On May 31st and June 2nd, MEPN students started the summer semester learning the skills needed to survive as successful nurses in pediatrics. Students watched a 30 minute video on pediatric assessment prior to entering the Simulation Center in order to be ready to practice assessments using appropriate growth and development techniques. During each day, students first addressed their excitement and fears about caring for children, learned medication basics for children such as needle sizes, safe medication practices, and pediatric math calculations. 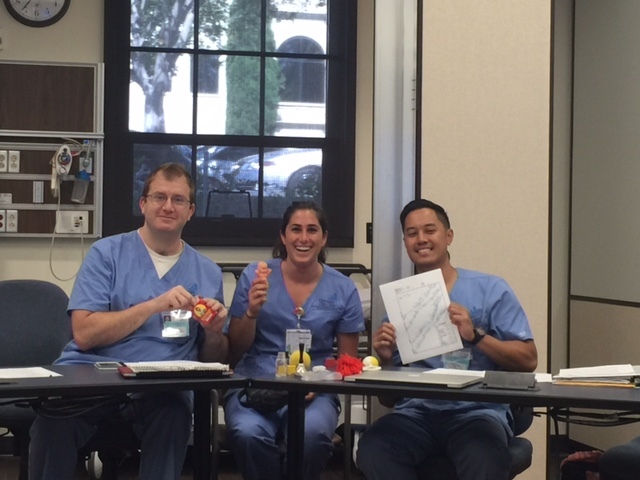 Then, student groups rotated through stations where they practiced the respiratory assessment, medication math practice, caring for central lines, gastrointestinal / genitourinary lines, and the Denver Developmental II Screening Test. Students were professional, well-prepared, and asked insightful questions. With such a great start, this summer should be flourishing, energizing, and full of great learning. This entry was posted in 2015 Cohort info., Guest Writer, What is a MEPN program? and tagged Guest writer, MEPN Class of 2017, Simulation Lab. Bookmark the permalink.